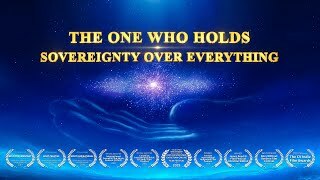 Best Christian Song "The One Who Holds Sovereignty Over Everything" | Christian Documentary Praise and Worship Music "The One Who Holds Sovereignty Over Everything" (Christian Musical Documentary) God Is Come, God Is King | Praise and Worship "Gospel Choir 1st Performance" Praise and Worship the Return of God | "Gospel Choir 19th Performance" God Is Come, God Is King | "Gospel Choir 18th Performance" Best Way to Know God | Praise and Worship "Gospel Choir 17th Performance" The Lord Is in China | Praise the Salvation of the Incarnate God | "Gospel Choir 16th Performance" Praise and Worship Almighty God | King of Kings | Gospel Music "Gospel Choir 15th Performance" The Son of Man Has Come | Gospel Music "Gospel Choir 14th Performance" King of Kings | The New Heaven and Earth | Musical Drama "Gospel Choir 13th Performance" Faith, Hope, Love | Praise God for His Great Love | Musical Drama "Xiaozhen's Story" Back to God | Praise and Worship Music "Gospel Choir 12th Performance" | Recitation and Singing Praise God | King of Kings | Rock Music "Gospel Choir 11th Performance" Praise the Return of Lord Jesus | Choral Singing "Gospel Choir 10th Performance" Praise God for His Love and Mercy | The Call of God | Musical Show "Gospel Choir 9th Performance" God's Love | God Is Great | Church Choir "Gospel Choir 8th Performance" Praise the Lord of Lords | Choir Song | Music Concert "Gospel Choir 7th Performance" How Great Is God's Love | Contemporary Music "Gospel Choir 6th Performance" End Time Salvation | Cantata "Gospel Choir 5th Performance"
and most deeply blinded, and profoundly harmed. and because Satan also uses the flesh of man to disturb the work of God. and at the same time, man is also the object of God’s salvation. 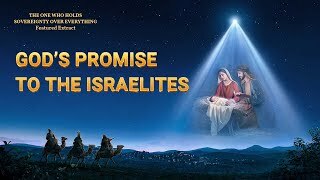 In this way, the work of God incarnate is essential. and became the object to be defeated by God. and God must become human in order to do battle with Satan. This is work of the utmost practicality. When God is working in the flesh, He is actually doing battle with Satan in the flesh. and makes the whole of His work in the spiritual realm real on earth. and the one who is ultimately saved is also man. and saving man, who is of the same outer shell as Him and has been harmed by Satan. and the object of His salvation is man, who was created by Him. and in this way, His work becomes much easier. He is able to defeat Satan and conquer mankind, and, moreover, is able to save mankind. so that the whole empyrean is quaking. 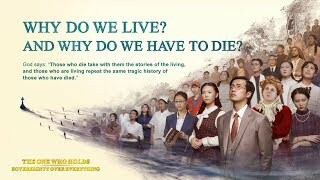 Is there a single place that does not undergo God’s judgment? Is there a single place that does not exist under the scourges that He hurls down? 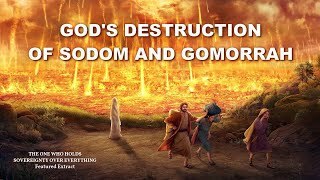 Everywhere God goes He has scattered “seeds of disaster” of all kinds. and what God extends to him is still a kind of love. and in this way come to revere God whom they have not seen for so many years but who, today, is real. but who, today, is real. 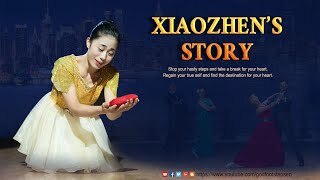 God Is an Everlasting God | "God Is the Beginning and the End"
Faith, Hope, Love | Praise God for His Great Love | Musical Drama "Xiaozhen's Story"
Christian Documentary Trailer | Exploring Life's Mysteries "The One Who Holds Sovereignty Over Everything"